Oil and gas service and equipment providers must contend with another year of massive capital expenditure cuts, the most extreme of which will occur in the US onshore market. The independent exploration and production companies that dominate the shale plays increasingly must align their budgets with incoming cash flow and focus on repairing their balance sheets. Lower oil and gas prices have taken their tolls on producers’ budgets, while names that haven’t been able to do more with less must also cope with shrinking output. In some instances, a sustainable recovery in oil prices to between $40 and $60 per barrel won’t be enough to save these operators, especially if they’ve taken on excessive leverage. 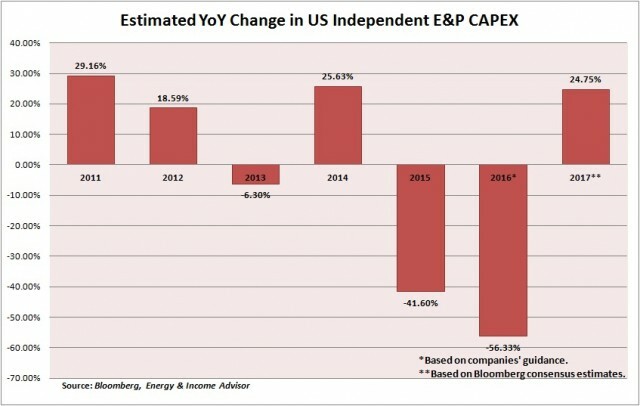 North American independent oil and gas producers slashed their capital expenditures by more than 40 percent last year, while guidance from about 75 publicly traded US upstream operators suggests that spending will tumble by another 56 percent in 2016. As of today, the Bloomberg consensus estimates for these companies’ 2017 capital expenditures imply a 24 percent rebound—a moving target that will hinge on inventory levels and commodity prices. These spending reductions have shown up most prominently in the US rig count, which has continued to slide in 2016 and has plummeted by 77 percent from its most recent peak in September 2014. Besides the severe downdraft in energy prices and shrinking budgets, the recent slide in the US rig count stems from producers not renewing expired drilling contracts and allocating more of their budgets toward completing previously drilled wells. 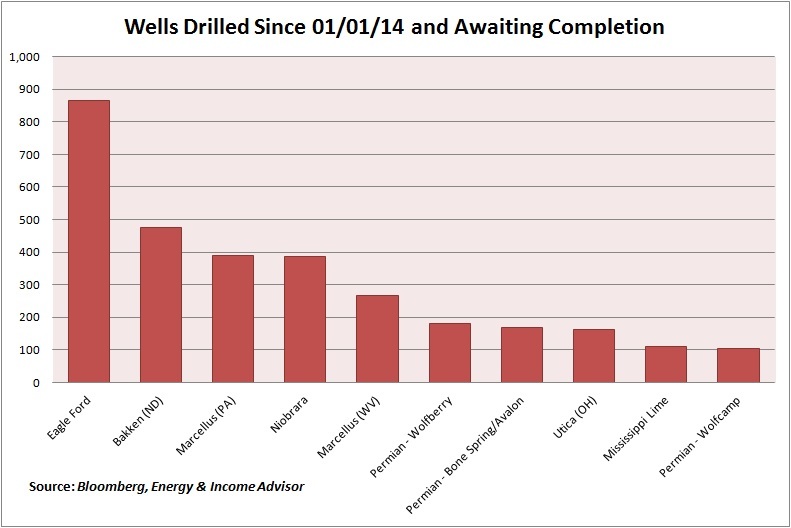 Over the past few years, the inventory of drilled but uncompleted wells in leading US shale plays has swelled, creating a backlog of wells that can be brought onstream relatively quickly. This so-called fracklog represents the North American equivalent of the spare capacity that Saudi Arabia turned on during Libya’s civil war to prevent oil prices from skyrocketing. 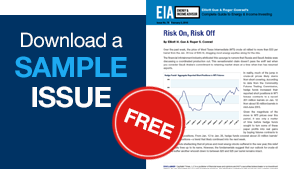 When oil prices began to tumble in late 2014, EOG Resources (NYSE: EOG) and other prominent oil and gas producers opted to conserve cash by waiting to complete wells drilled by under-contract rigs. By spacing out the drilling and completion processes, oil and gas companies temporarily reduce their up-front costs; sinking the well accounts for about one-third of development expenses, while hydraulic fracturing and other activities make up the rest. Upstream operators also gain additional flexibility to manage their production in a way that maximizes returns. For example, a savvy upstream operator might restrict hydraulic fracturing to levels that would keep its overall hydrocarbon output flat when energy prices remain depressed and accelerate well completions if oil prices improve to levels that would result in a solid return on investment. Bloomberg estimates that since 2014, oil and gas producers have drilled almost 4,000 shale wells that have yet to be completed, with the vast majority of these sites in major basins. The Eagle Ford Shale leads the pack, especially in areas that generate inferior returns because they contain significant volumes of condensate and natural gas liquids; these wells and those in marginal parts of the Bakken Shale may remain in inventory for longer. Spending on oil-field services in the US onshore market likely will be weighted toward completion-related activities as producers work through their inventories of uncompleted wells—incrementally better news for pressure-pumping and completion-related services. 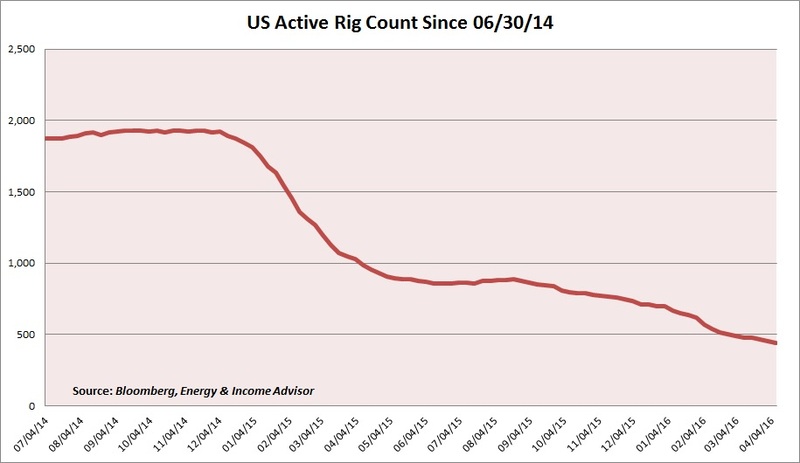 As legacy contracts expire and US oil production rolls over, the onshore rig count should stabilize and start to recover. Past experience suggests that oil and gas producers will begin to add rigs when the 12-month strip price, or the average monthly futures contract for next year, rallies to between $45 and $60 per barrel. For example, Pioneer Natural Resources (NYSE: PXD), a leading producer in the Permian Basin and Eagle Ford Shale, recently reaffirmed that the company would activate 10 drilling rigs if oil prices recover to $50 per barrel. I guess the way I would sum it up is there’s sort of a constant revision of budgets going on and those revisions are clearly with a downward bias. So the way I would describe is right now, our customers don’t know what they’re going to spend, where they’re going to spend it, and when they’re going to spend it in North America at this point in time. Overcapacity, reduced activity levels and depressed energy prices helped producers to squeeze price concessions of as much as 30 percent to 50 percent from service and equipment companies last year. 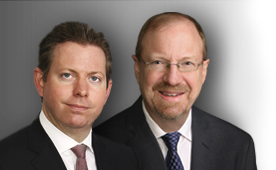 Management teams from Schlumberger and Halliburton have indicated that pricing pressures have continued into 2016. Several factors suggest that any recovery in the North American oil-field services and equipment market will be muted if oil prices generally range between $40 and $60 per barrel over the next two to three years. First and foremost, the market will take time to work off excess capacity built up during the boom years, when producers privileged output growth at any cost and took advantage of low-cost debt and equity capital to outspend cash flow by a wide margin. Moreover, after an initial rebound from depressed levels, incremental demand for services and equipment likely won’t grow at the exponential rates witnessed in the early innings of the shale revolution. In fact, any sustainable recovery will probably fall short of the capacity mobilized during those heady days. After a refractory period where production and activity levels decline, US shale oil and gas plays will gradually take market share from non-OPEC producers outside North America. Two factors make the US onshore market an ideal source of swing production: Shale operators can bring new wells on relatively quickly and with predictable success rates (dry holes rarely occur). Excluding the US and Canada, non-OPEC output has drifted lower in recent years, despite massive capital expenditures and an extended period of elevated oil prices. Spending cuts and reduced activity levels should accelerate the gradual decline rate in non-OPEC production outside the US, giving shale producers an opportunity to ramp up slowly once output reaches a sustainable level. 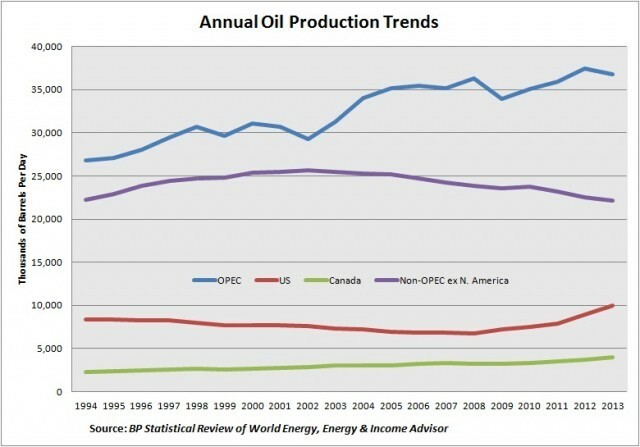 Of course, Saudi Arabia and other OPEC members continue to invest and develop incremental production capacity. Several other factors will constrain US demand for oil-field services and equipment. Exploration and production companies have honed their drilling and completion techniques and processes considerably over the past few years, yielding major efficiency gains and cost reductions. Meanwhile, the remaining drilling and completion crews working in the field have the most experience and use the most advanced rigs available. 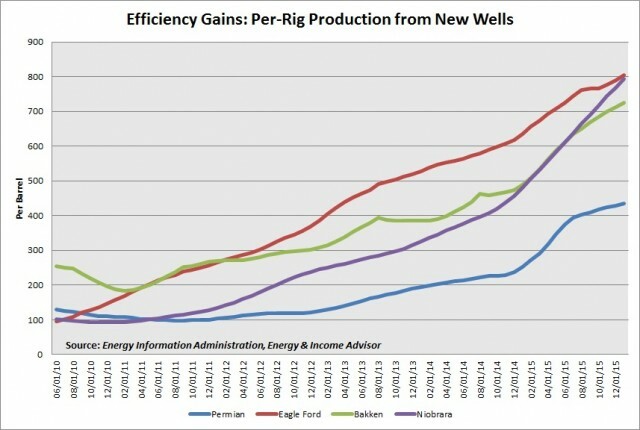 Not only can producers drill more wells with fewer rigs than they could a few years ago, but enhanced completion techniques—longer laterals, reduced spacing between fracturing sites and larger applications of silica sand—have also improved recovery rates significantly. The US oil and gas industry has demonstrated a remarkable ability to do more with less, a trend that shows every sign of continuing. Of course, doing more with less in an environment where oil prices remain lower for longer will also reduce demand for some services and equipment. Bottom Line: Activity levels and pricing for oil-field services and equipment will likely remain under pressure in the US onshore market this year, with early 2017 bringing a bit of a recovery on both scores. But a return to the levels witnessed during the boom years appears unlikely, especially if Saudi Arabia opts to tap some of its spare capacity to take market share and keep oil prices in check. 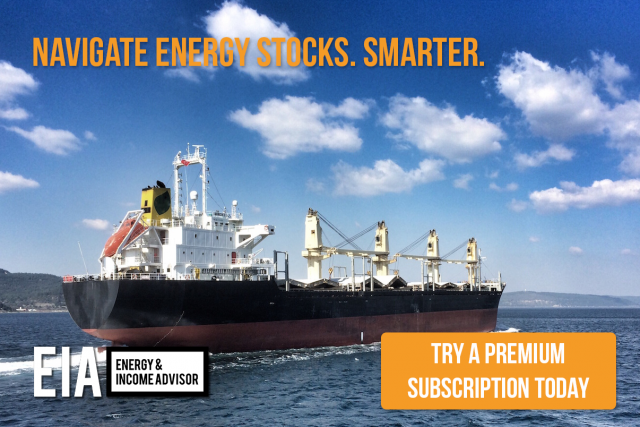 Subscribe to Energy & Income Advisor for more analysis of the rapidly evolving energy sector and our best investment ideas.